Yesterday's Slab Sunday was about Iron Red granite. 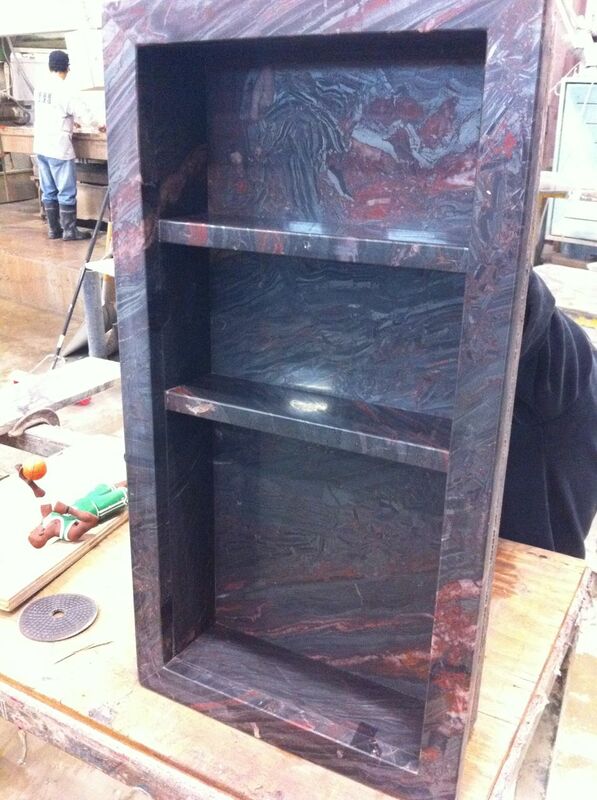 I wanted to show you something we just finished working on with this stone. We love when our customers get creative and we get to build unique things made out of stone. 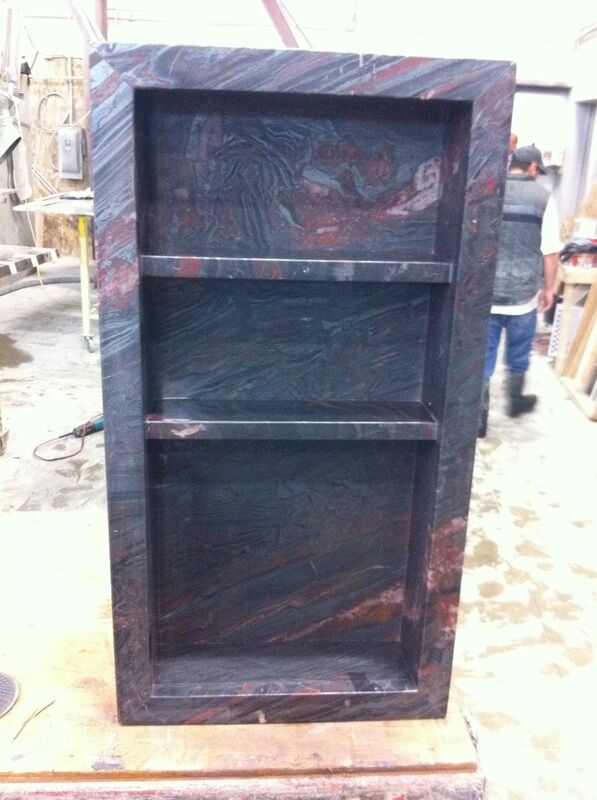 Recently we built a shower shelf out of Iron Red granite slab. It looks somewhat simple, but believe me....this was a lot of man hours! It will set into the wall of the shower, so the frame of it will come out only 3/4" from the wall. 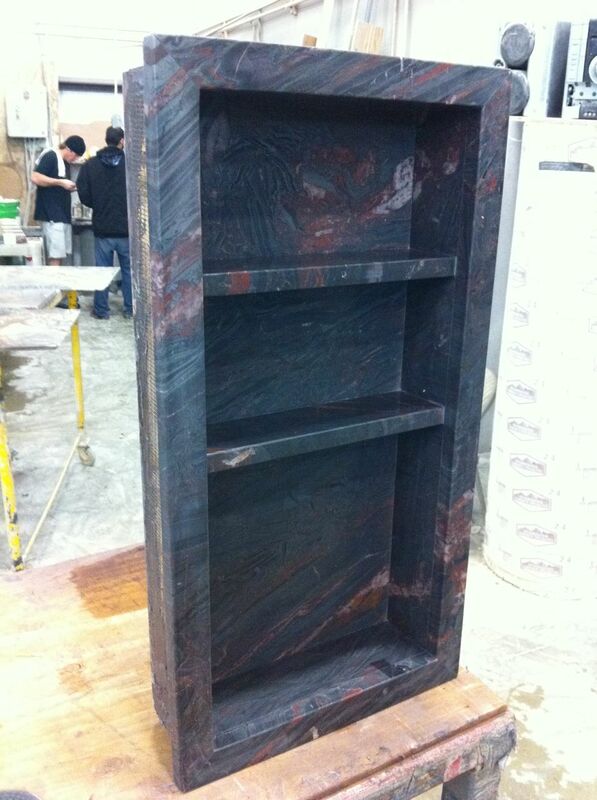 Isn't the Iron Red such an amazing stone?